You can’t improve on perfection, I guess. 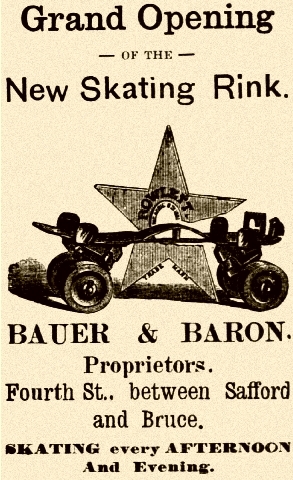 After 120+ years, the humble paper clip shown in this 1894 ad hasn’t really changed much. In our increasingly paperless world, I wonder if future generations will regard paper clips as we regard buggy whips. This entry was posted in Uncategorized on February 7, 2018 by J.R. Sanders. 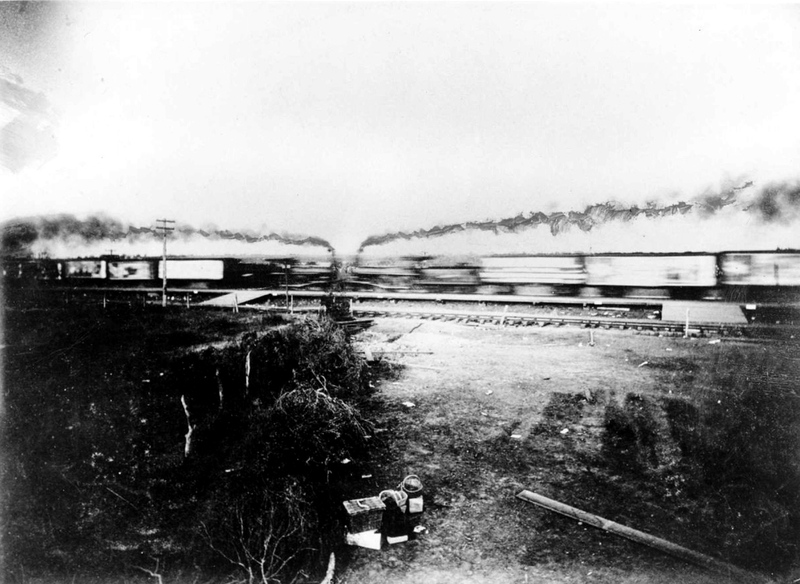 Stage a head-on train wreck as a publicity stunt, out on the Texas plains, and invite spectators by the thousands to witness it. What could possibly go wrong? 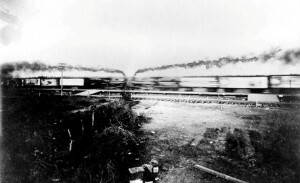 Plenty – as Katy Railroad passenger agent William Crush learned on September 15, 1896. See my Wild West Magazine article on the “Crush Crash” here. And listen to Scott Joplin’s “Great Crush Collision March” here. This entry was posted in Uncategorized on September 15, 2017 by J.R. Sanders. First casualty in America’s war on drugs? On August 20 1900, Sheriff John Henry Dillingham of Platte County, Missouri, was summoned to the sleepy little town of Farley over a case of multiple murder. A local physician named Sterling Price “Sturley” Harrington had gone on a day-long, drug and alcohol fueled killing spree. Taking his ten-year-old daughter along on his bloody errands, the doctor shot and killed his mother-in-law in cold blood, then calmly drove to the home of his wife’s uncle and killed him as well. He drove across the state line into Leavenworth, Kansas, where – apparently with further killing in mind – he resupplied with ammunition and more weapons before returning to Farley. In what was likely part of an addle-brained plan to escape, Harrington tried to rob the town’s general store, and engaged in a point-blank shootout with the store’s clerk. About this time Sheriff Dillingham arrived with a trio of deputies, one of whom was his son, Henry. As the lawmen approached the store, Harrington met the sheriff at the entrance. Shots were exchanged and Sheriff Dillingham was killed instantly. As the murderous doctor fled toward his wagon, Henry Dillingham fired three times and Harrington fell dead in the street. Sheriff John Dillingham’s eventful career, and the tragic events leading up to his death, are detailed in Chapter 8 of Some Gave All. This entry was posted in Uncategorized on August 22, 2017 by J.R. Sanders. Kindness is an admirable trait in a lawman, but it must be tempered with a healthy dose of suspicion. It was a lesson U.S. Marshal Hal Gosling learned too late. His good nature led to his death, setting events in motion that would break up of one of the worst outlaw gangs to plague south Texas in the 1880s. 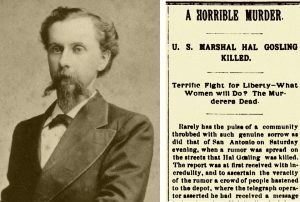 You can read about Marshal Gosling’s sad demise, and the end of the Helotes Gang, in my article from the December 2013 issue of Wild West Magazine, recently put online at Historynet. For a fuller account, see Chapter 3 of my book, Some Gave All. This entry was posted in Uncategorized on June 14, 2017 by J.R. Sanders. A roller rink walking distance from the O.K. Corral? 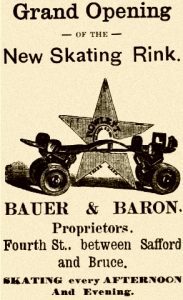 If you’d like to know what mid-1880s cowboys – some cowboys, anyway – did for fun when they weren’t drinking, gambling, and consorting with nymphs du pave, here’s a link to my article “Hell on Wheels: When Roller Skating Took Western Towns by Storm” from the October, 2014 issue of Wild West Magazine. This entry was posted in Uncategorized on June 13, 2017 by J.R. Sanders. 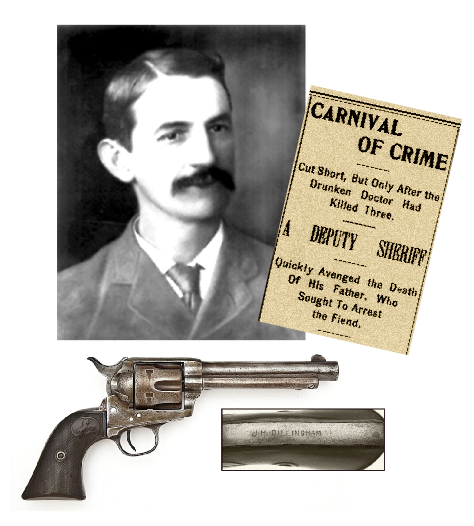 On Jan. 14, 1891, City Marshal James F. Isbell of Bells, Texas was shot and badly wounded intervening in an armed robbery at a Bells saloon where he moonlighted as a bartender. 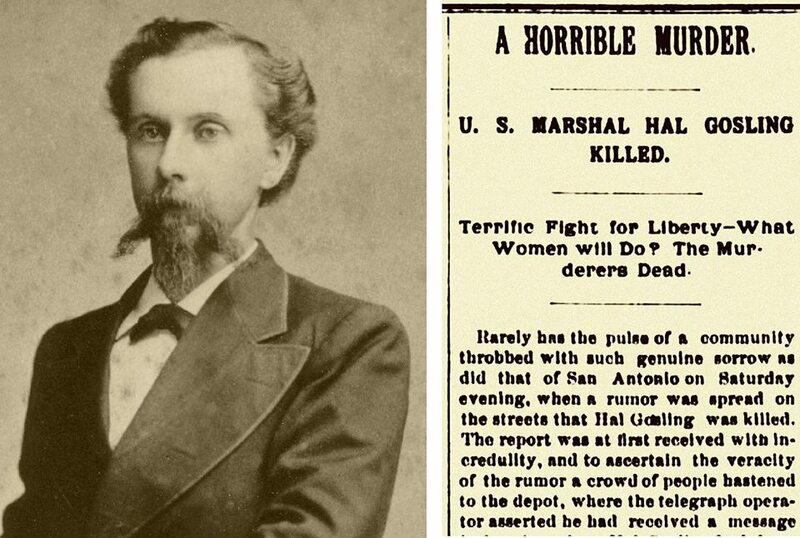 By the time this article appeared in the Dallas Morning News, the marshal had died. Two trials, one insanity plea, one appeal, and a year and a half later, George Smith would pay the ultimate penalty for the killing. Marshal Isbell’s tragic end and Smith’s long and winding road to justice are detailed in Chapter 5 of Some Gave All. To Marshal Isbell, and all the brave law officers before and after who have given the ultimate sacrifice – you are remembered. To those who continue to risk their lives daily to keep our communities safe – thank you. This entry was posted in Uncategorized on January 14, 2016 by J.R. Sanders. 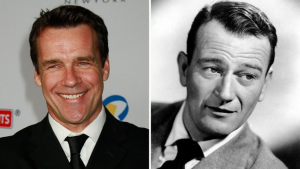 David James Elliott, who starred in TV’s JAG, will play John Wayne in Trumbo, the biopic about blacklisted screenwriter Dalton Trumbo starring Bryan Cranston, and due out Nov. 6. I’m going to go ahead and guess that it won’t be a sympathetic portrayal of the Duke, considering the film’s subject matter. Still, it’ll be interesting to see. You can catch the Trumbo trailer (Duke-free, unfortunately) here. Elliott as the Duke. They’ve got the look right, anyway. This entry was posted in Uncategorized on August 18, 2015 by J.R. Sanders. We had to say farewell to our beautiful boy the day before yesterday. We’ll remember Monte for so many things. He was a rescue – abandoned in the hills above us by a family who evidently didn’t want to deal with his issues. Their loss, our gain. He had a brief career as a shoe-chewer in his youth; I still have the boots to prove it. He was the Stealth Dog – a kitchen ninja who could sneak food off the counter, unseen and unheard, whether you were in the room or not. He was at the same time the most laid-back and easygoing dog in the world, and the most stubborn. He was Fartacus (enough said). In his prime, he was the Fastest Dog Alive. He was kind and accepting to all his fellow creatures great and small, with the exception of deliverymen; he was a terror to our mailman, Arrowhead driver, and the UPS guy (I’m convinced dogs like Monte are the reason they wear brown uniforms). He was a friendly host to any other dog who visited our home. He was the Comeback Kid. He was Braveheart. We’ll never forget his bright, mischievous eyes, his cheerful smile, the joy on his face when he ran full tilt, and the courage and perseverance he showed when he couldn’t run any more. Mostly we’ll remember his wisdom. 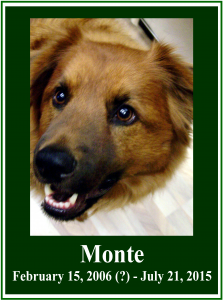 Many people would laugh at the notion that you could learn valuable life lessons from a dog – that a guy like Monte could teach you by example to meet each day with a happy face, to be grateful for the good things in your life, to handle adversity with patience and grace, and never to waste one precious moment feeling sorry for yourself. Those people would be wrong. We’ll be forever grateful and honored that Monte chose to share his life journey, and his love, with us. He lived loved, and he left loved. Goodbye, Boss. We’ll miss you. This entry was posted in Uncategorized on July 23, 2015 by J.R. Sanders. 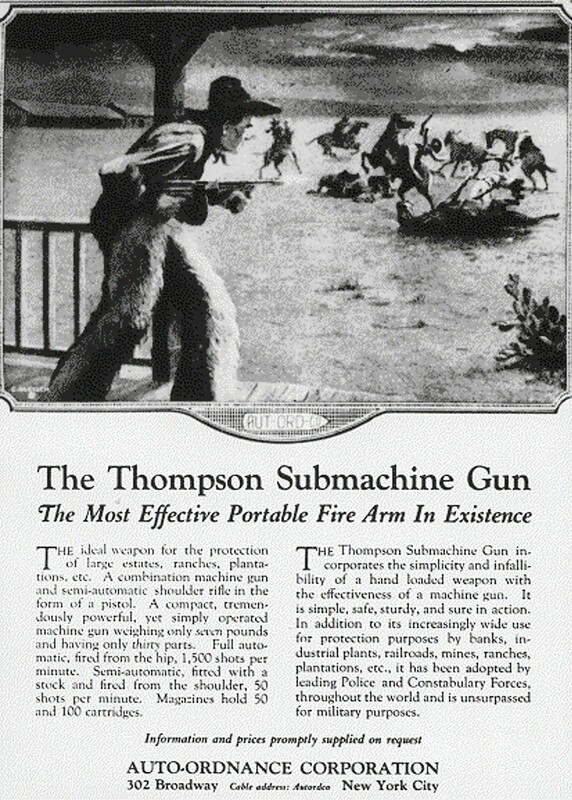 Wild West Magazine has archived a couple of my older articles online. Although they were written a few years apart, both deal with examples of America’s earliest “extreme reality shows.” Just further evidence that there’s really nothing new under the sun. 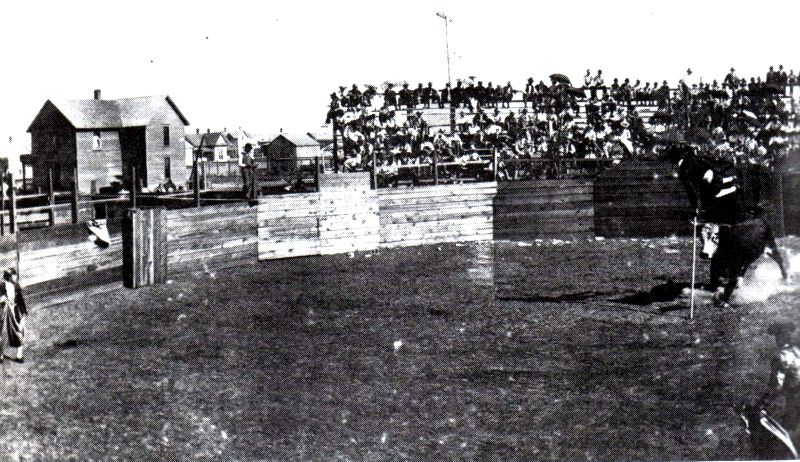 Dodge City’s efforts to keep up its rough-and-rowdy reputation as the Gomorrah of the Plains with a bang-up Fourth of July celebration stirred up nationwide controversy when the town decided to include a Mexican-style bullfight – the first ever held on U.S. soil. 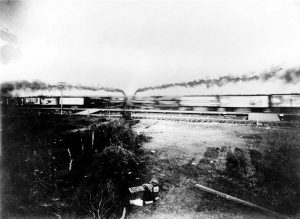 Katy Railroad passenger agent William Crush’s publicity stunt – a train wreck staged for spectators on the Texas plains – ended badly when he miscalculated what would occur as two locomotives traveling at 58 miles per hour crashed head-on into one another. This entry was posted in Uncategorized on May 14, 2015 by J.R. Sanders.